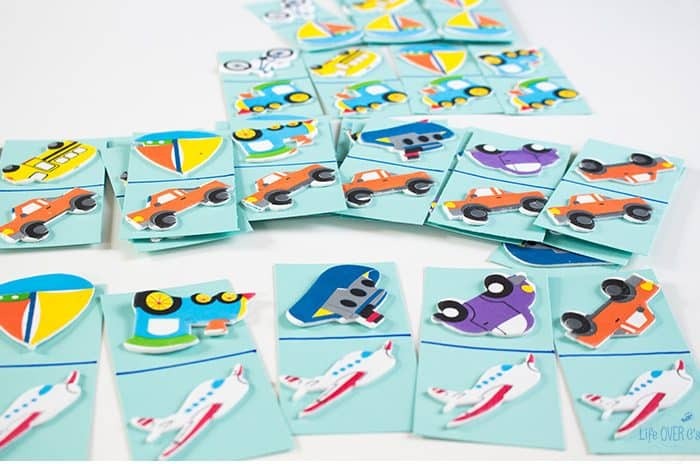 Our transportation theme activities have been a hit this month on our preschool shelves. Each of the kids have a space for their activities and this month, Shiloh, has had a fun set for learning about forms of transportation. Today, we added a new game to the set! 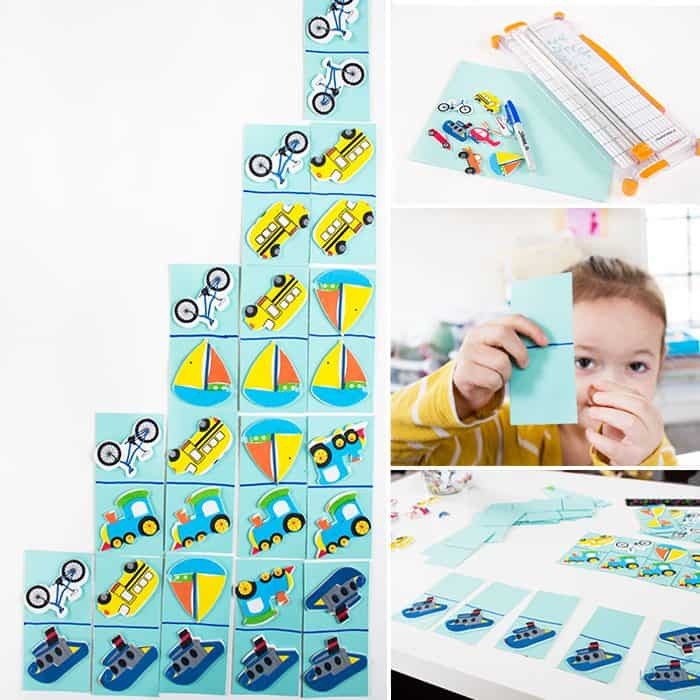 These DIY Transportation Dominoes for matching are perfect for preschoolers who are learning to match. My preschooler loved helping me create them! The first step is to cut the card stock into domino shapes. 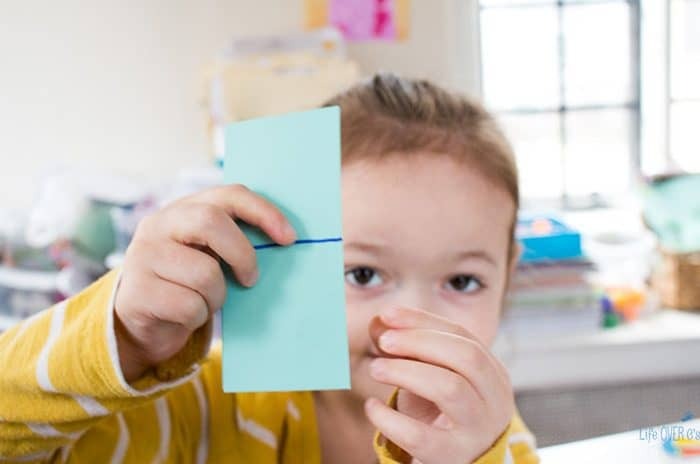 I cut the pieces in half the long way and then I cut strips that were 2″ wide with a 1″ strip left over. 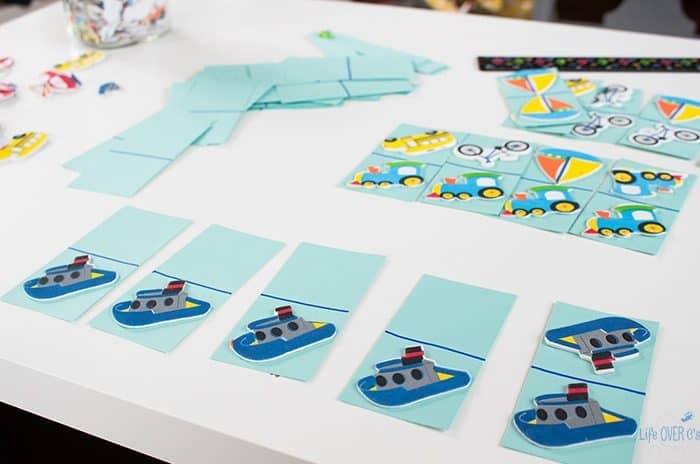 Shiloh used the 1″ strips to practice sticking flower stickers while I worked on the dominoes. It was a great way to keep her occupied and working on her fine motor skills. 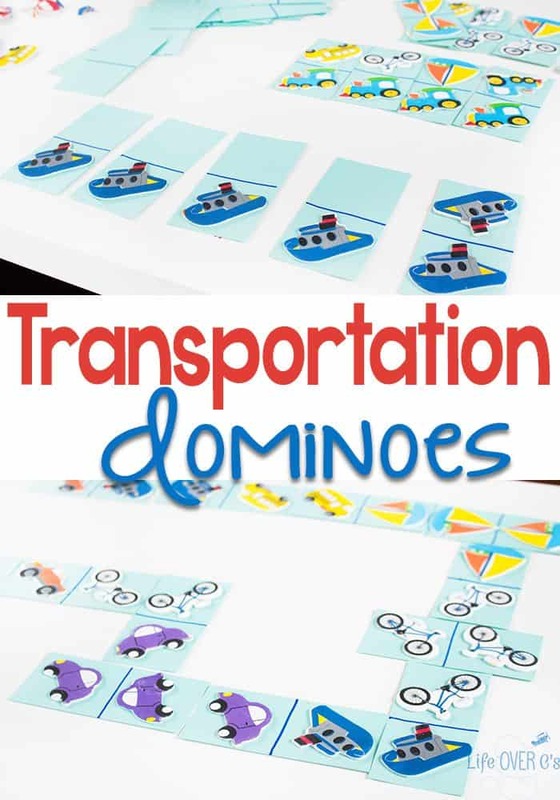 Then, I put the transportation stickers on the dominoes. I lined them up so that I could keep track of which pairs I had already created. 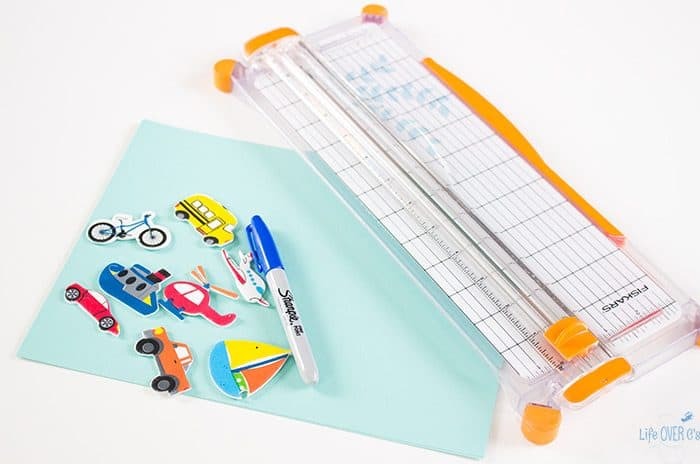 Since we have already used this set of stickers for several activities we are starting to get to the end of a few pieces. I just paired them up until I couldn’t make anymore full sets. We didn’t have enough to do the race cars and the helicopters, but if you have more of the stickers you could definitely include those. You could play these like a traditional game of dominoes, but we were just focusing on making matches. 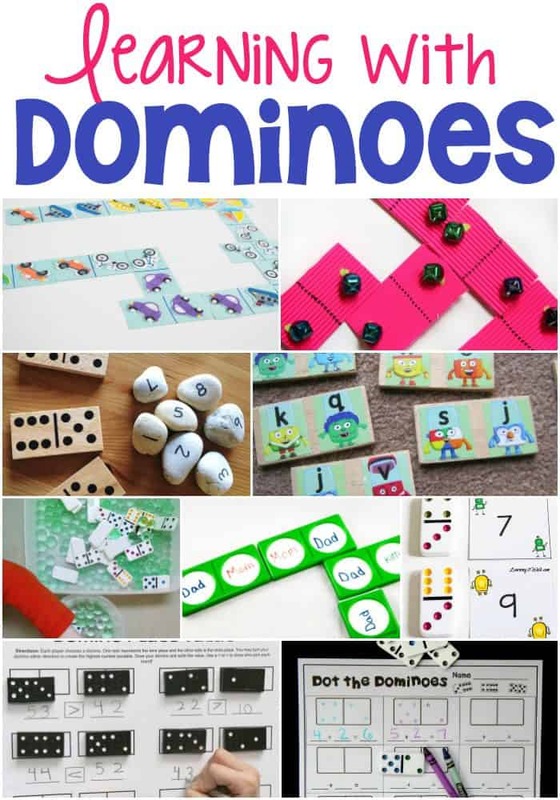 If you play with them on the floor you can make quite the trail of dominoes! 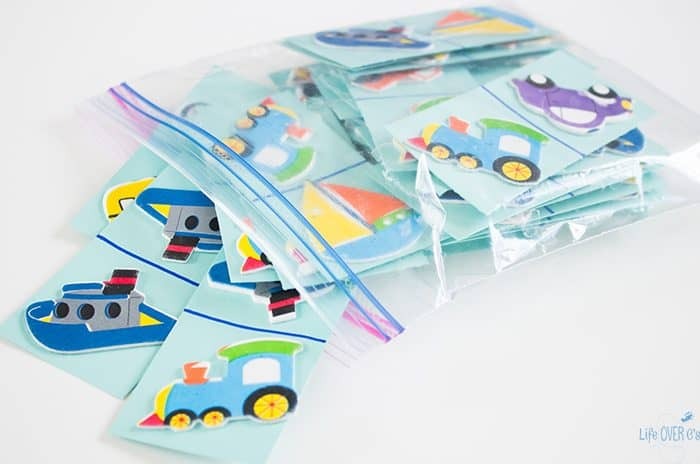 These are compact and lightweight, so they fit perfectly into a quart-size plastic bag for storage. Then the kids can pull the out for quiet time. 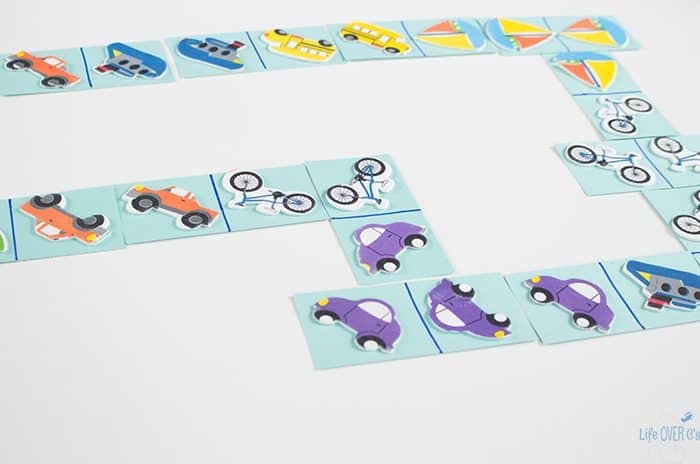 Here are four more transportation activities that we created with this one set of stickers. Oh, my, we have SO many stickers! We’ll be doing this for a lot of themes! Fabulous idea!